Could I work my way up 15- 20g Vit C per day? it seems the more vitamin C I take per day, the better I feel. I was doing IV vitamin C for a while (75 g) and that was fantastic. Unfortunately is prohibitively expensive. Right now doing about 8 g of vitamin C per day. I worked my way up slowly to give myself bowel tolerance. Each time I increase my dosage I feel a little bit better. What do you think the upper limit of vitamin C you could do orally per day is? Could I do 15 g per day? 20 g per day? more? I worked my way up slowly to give myself bowel tolerance. Bowel intolerance is reached when small and frequent doses are taken until a liquid stool occurs. When I tried it, I need 50 grams throughout the day to reach that. However, bowel tolerance can fluctuate widely, for example with some viral infection it easily can get above 100 grams a day. Some have very limited bowel tolerance, and would flush already at 3 to 10 grams. What do you think the upper limit of vitamin C you could do orally per day is? Only you can know by trying. Not that much to loose ;-). Since the loose stool immediately ceases, once you reduce the dose afterwards again. I will just keep adding more vitamin C to my protocol and keep working my way up and seeing what happens. It makes more sense to improve vitamin C effectiveness than going to absurdly high dosages, I might suggest liposomal as a much smarter and cheaper way to go. are there any legit studies which show that liposomal vitamin C more readily absorbed than plain old ascorbic acid? 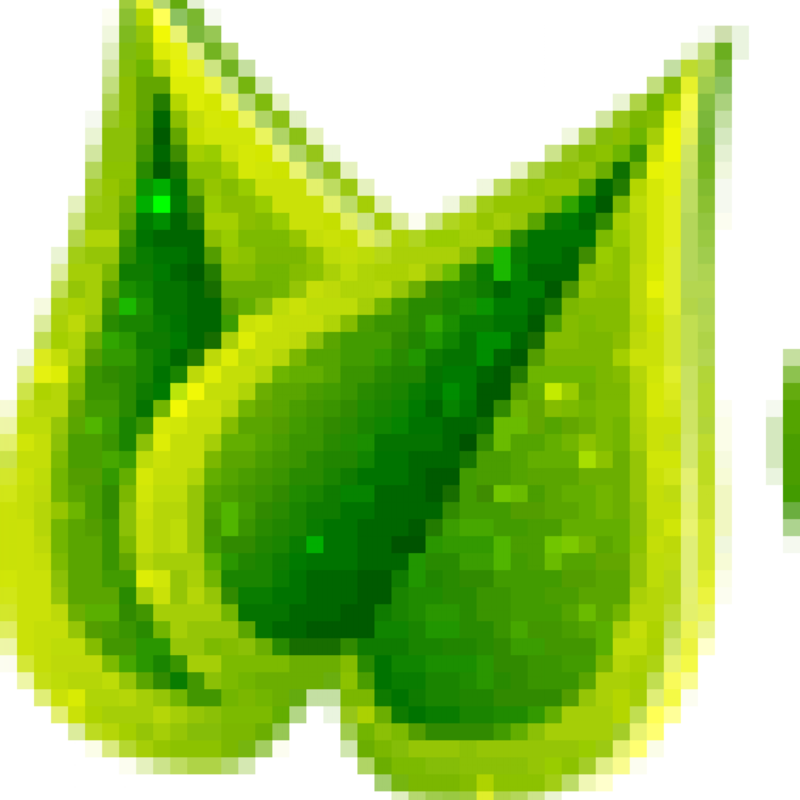 In Pubmed about 321 under "liposomal vitamin c" alone. Maybe smarter, but definitely not cheaper. My daily 20g in divided doses costs me merely 0,40 cents. The following paper is now behind a paywall, but questions the usual notion that vitamin C serum levels would reach their upper limit already with dietary intake of 250-500 mg at about 50-100 µM (concluded by giving doses up to 2.5 g, and extrapolated for all higher doses). 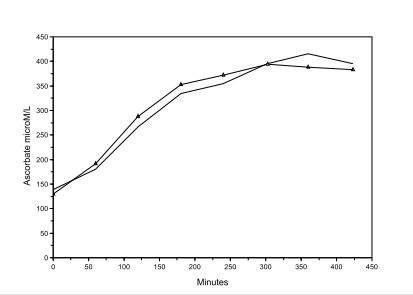 While actually measuring serum levels with 20g/d yielded even above 500 µM. 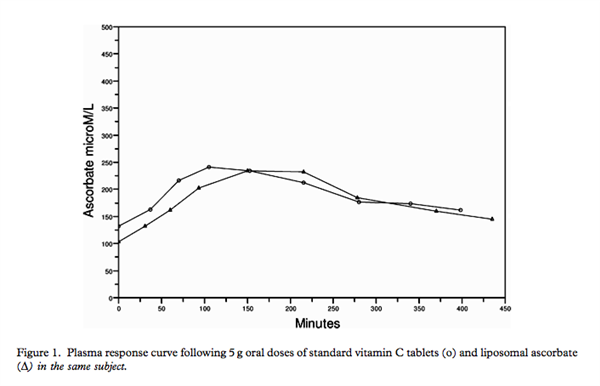 Though a bid strange, since they compared 5 gram of regular oral ascorbic acid to 20g or 36g liposomal - in that resulting plasma levels of initial equal oral doses (5g) showed almost identical! gastrointestinal effects at this dose level.5 "
tolerance effects at either of these intakes. dose is spread throughout the day. 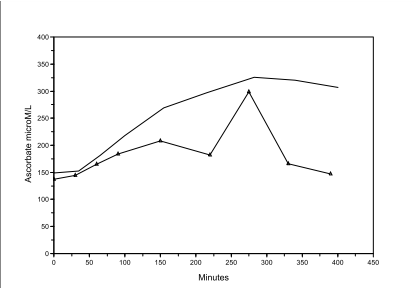 However, these graphs only tell about serum levels, not how much actually entered cells. Where thel real strength of liposomal would show. Some suggest the best strategy in bad health would be a combination of regular oral ascorbic acid, mineral ascorbates, ascorbyl palmitate and liposomal vitamin C combined. Vitamin C (after a PAD diagnosis almost 5 years ago, together with lysine and all other nutrients recommended by Linus Pauling) - pain-free walking distance improved from mere 3-400 meters up to 2 hours. But only once I exceeded the in his view minimal therapeutic dose of 6g/d. Side-benefits: a since 2 years persistent skin-rush cleared up, hay-fewer symptoms recurring every spring since 12 years got alleviated (though this year it took 30 g/d; in avg. about 20 g/d for 5 years). HbA1c stayed unproportionally low, compared to rising blood glucose. Truly addictive stuff for someone with my health-issues. Only negative side-effect: flatulence. Phoebus, when you say you "feel better"... what are you feeling? Or perhaps compared to what you felt without using it? I've been taking .5-2g/d Vit C for maybe 30 or so years, and up to 12g/d when sick (not often). I've not "felt" much of anything I could directly attribute to taking it, and so wondering what you experience? I'm in the process of healing from Lyme disease. When I take high doses of vitamin C I have more energy and feel less ill, a little bit less body aches. Thank you for posting all that fantastic information! The part about vitamin C inhibiting glycation is really quite fascinating. I had never heard that one before. And it seems plain old ascorbic acid will do the trick there. Edited by Phoebus, 08 December 2016 - 03:50 PM. You are paying double of what due since ascorbic acid is easily bought at less than 10 euro/kg. Liposomes, against what the industry likes you to believe, are very easily obtained with soy lecithin granules, distilled water and ascorbic acid (in this case) in a common blender. Because you need much less liposomal C it ends up much cheaper. Plasma concentration means nothing, liposomes are not meant for increasing that, it is the phospholipid cellular membrane that gets targeted. I easily get it in 100 g bottles for 1.95 in nearby stores. Importation adds a lot of taxes, handling and shipping fees. And more often than not, further hassle with Austrian customs and postal service. Tried ultrasonically homemade liposomal vitamin C toward the end of a whole month when I was dosing close to bowel tolerance. Thereby I could indeed push bowel-tolerance 2/3 higher than my usual 50 g/d (at that time). But didn't get distinct results other than from regular C, and stopped it again due to much more effort needed to prepare on a daily basis. Results in ill-health mean everything. I related mine, what are yours with self-made liposomal C? Just the first result....there is cheaper around, EU, no custom, no taxes. Ultrasounds works only if a proper machine is employed, which doesn't come cheap. A blender is much smarter choice and in most cases works much better. Liposomal C can be safely stored for up to a week in the fridge, no need for everyday preparation. really? You can legitimately make liposomal vitamin C with just a blender? How long you need to blend it for? Also…wouldn't liposomal C keep for longer than a week in the refrigerator ? Industrially liposomes are not made by ultrasonification but spraying at very high pressure (great force) against a steel plate, blender blades rotating at high speed do achieve the same or better results. Blending tends to rise temperature which affects liposomes size, as specified in the above link as a rule of thumb stop blending as soon as temperature rise is detectable. You do need a bit of blending in order to make sure all particles are hit by the blades but overdoing only keeps destroying the liposomes and forming them again...therefore it makes no sense to go on blending forever, according with the kind of blender and amount of compound about 5 minutes should usually do. Since liposomes do protect what is inside them from oxidation acting as preservatives liposomal vitamin C is likely to last far more than a week in the fridge but just to play it safe I wouldn't recommend longer storage times. Thanks for this source. Will contact them to inquire if getting kilograms shipped doesn't turn out more expensive again. They only specify cost of transportation to Italy. Still, so you don't have any real world experience? Either yourself or anyone you know of, who received any further improvement from ill-health with this blender method, compared to just ordinary vitamin C powder? Agreed, although I'd stick with the plain water-soluble ascorbic acid and augment it with a smaller amount of lipid-soluble ascorbate such as ascorbyl palmitate. Similar principle ... between the two you can get your C to just about everywhere it can do any good. Except that acorbyl palmitate is pretty much completely hydrolized to ascorbic acid and palmitic acid in the intestine before being absorbed, so it is really nothing else but a more expensive way to supplement with ascorbic acid - and some saturated fat on the side (source). Btw. given the well-researched anti-hormetic effects of large doses of vitamin C (just keep in mind that the loss of endogenous synthesis of ascorbic acid must have provided an evolutionary advantage to our distant primate ancestors) I would caution anyone to megadose vitamin C if he or she doesn't experience a distinct advantage. One way to determine if you really experience a benefit from vitamin C, and not merely a placebo effect, is to ask somebody to make two beverages with water, lemon juice and either vitamin C or citric acid, so that both beverages have the same level of acidity and the lemon juice masks any characteristic taste of the acids and to serve you one of them in a blinded fashion on several occasions. Edited by timar, 12 December 2016 - 11:09 AM. One way to determine if you really experience a benefit from vitamin C, and not merely a placebo effect, is to ask somebody to make two beverages with water, lemon juice and either vitamin C or citric acid, so that both beverages have the same level of acidity and the lemon juice masks any characteristic taste of the acids and to serve you one of them in a blinded fashion on several occasions. On the other hand, there are really placebo-controlled studies existing, where the authors marvel why the therapeutic agent didn't do better. In the fine print one can read ascorbic acid was used in the placebo capsules! But you're aware that Livon Labs liposomal vitamin C is verified and very expensive at that dose? While Dr. Thomas Levy cited in this article is the first to clarify that homemade, via sonification or blender, would produce a mere emulsification. Though increasing absorption too, not anywhere close to true Livon Labs expensive liposomal vitamin C.
Edited by pamojja, 15 December 2016 - 10:13 AM. Please take each argument on it's own merit or dis-merit. You can better than that. Alternative for me is standard of care practiced a mere 100 years in human evolution and bend on undermining any natural remedy which can't be patented. For example prescribing me daily statin and aspirin for live (while statins merely prevent 1 in 83 with know heard disease, or aspirin merely prevent 1 in 333 with prior heard attack or stroke - of premature deaths in those taking these after 5 years) and nevertheless predicting me constant deterioration of my condition. And defaming anything natural as dangerous. Rightly called crap. While natural medicine - food be your medicine, first do no harm - easily proved, to me at least, remission is indeed possible. Alternative medicine is really perfect for acute care, but for the chronic conditions it's a joke. You got me completely wrong, pamojja. I'm not at all against natural medicine. In fact, I am a big advocate of evidence-based natural medicine and this is exactly why I strongly disavow NaturalNews - mixing legitimate concerns and information with half-truths, FUD and conspiracy theories with an Alt-Right political spin doesn't do any favor to natural medicine - it only serves to deligitimize it in view of an educated medical establishment while driving less educated people ever deeper into the cognitive maze of Post Truth paranoia, unable to differentiate between fact and FUD and blind to the agendas instrumentalizing the movement they identifying with. Media platforms like NaturalNews are about the worst thing that could happen to legitimate natural medicine. Anyway just search and you'll find several sources saying more or less the same thing, than chose the source that you perceive as reliable for the sake of your satisfaction. Yeah, right....and Lavon labs will tell you that their freakily overpriced product is actually easy homemade for a fraction of the price and likely at better quality, of course. If you take the time to read at the already above provided link (http://qualityliposomalc.com/) you can see that the guy had properly checked its homemade liposomes at a university lab and provides pictures of them showing the achieved quality. I call that "evidence" from someone whom doesn't want to sell you anything....but maybe is just me being naive. I understand your point of view. And you have every right to have a strong opinion about that site. However, natural medicine is often only taken up once the pop a pill approach of standard care fails, and if it works for that person he is a living proof for all witnessing it in his surroundings. Who am I to say right- or left- oriented hasn't have the right to using natural medicine, or isn't favorable of becoming a living proof? If the political orientation of such a living proof is used to 'deligitimatize it in view of an educated medical establishment', than that could only be for those who are established in not thinking for them-self. The political orientation on that website, however disgusting it might appear, doesn't say anything about the truth of that particular article aconita linked to. Since the introduction of patented synthetic medicine - so highly profitable - the worst thing that happened to natural medicine is that is isn't patentable, therefore never justified by double-blind controlled trials, therefore never evidence based, therefore refused by the medical establishment - not because of political orientations. But a lack to think it through generally. The microscope pictures didn't really convince, but that LivonLabs would waste money on a patent about creating low-tech liposomes - which according to them shouldn't work - that definitely did. What is your take on the home-made liposomal Vit C preparation using blender first and ultrasonic jewellery cleaner after as shown here? Too bad, they don't even respond. Try eBay, many results there. Vitamin C (2-5gram daily for mood) timing - How would you incorporate it into an exercise regimen? What's the best form of vitamin C for long-term systemic health?